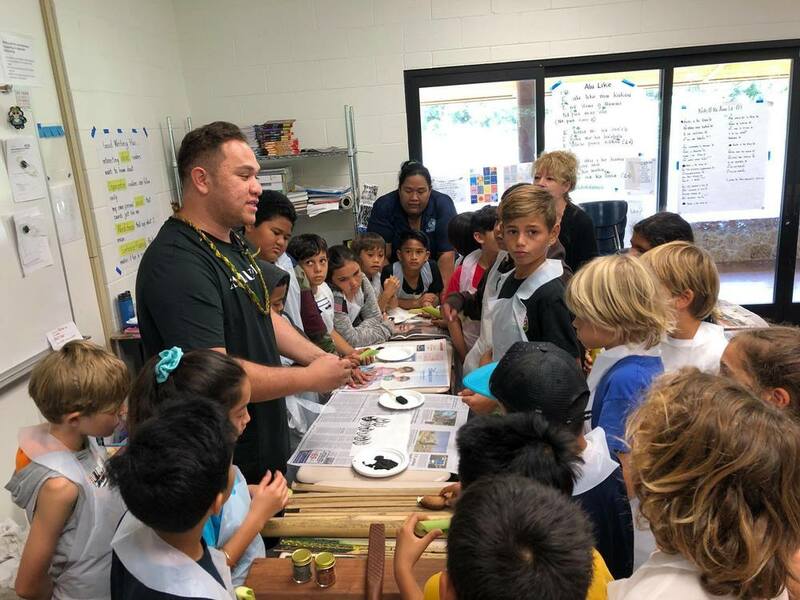 Manaola shared his time and talents with our Papa Makani (grades 3/4). They created the most beautiful wearable art using all natural stamps under the guidance of this amazing kumu. Mahalo nui to Kumu Cindy for helping to coordinate this visit. Not sure who enjoyed themselves more, the haumana or the kumu!